Transport | Pavel Švestka, s.r.o. Use the cargo transport form a reliable partner with many years of experience! Thanks to our large modern vehicle fleet, we provide transport of broad range of materials. 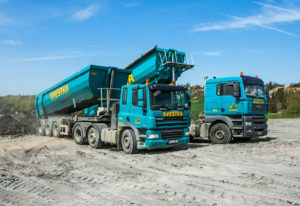 Our team of regularly trained drivers daily realises high-volume transports of earth, transport of materials from construction sites, transport of aggregates and other loose materials in the whole Czech Republic. We have available a broad range of containers with various volumes that we use for removal of debris, waste, construction materials, and items when clearing-out various spaces. According to your needs, we will provide the container to the specified place and after it is full, we will again remove it. 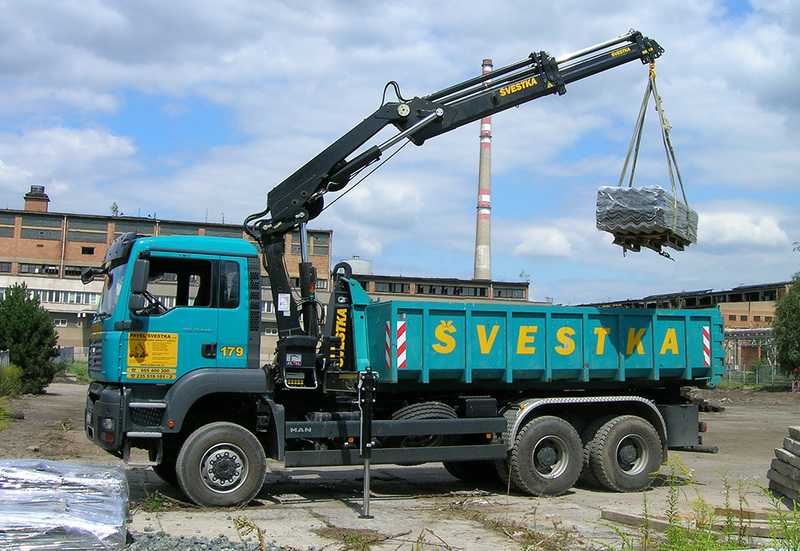 Thanks to the vehicles with hydraulic arm, we can easily place the larger loads according to your needs. Our own cargo transport actively complements all our other services, such as demolitions, earth works and crane works.